Evalon explained it terminated the relationship with Enrique Tarrio and his website because of what it regarded as “hate speech,” the Gateway Pundit reported. Pressed to be specific, Evalon confirmed the T-shirt mocking Ocasio-Cortez was the culprit. Tarrio said, however, Evalon’s deplatforming effort has been resolved and the 1776.shop is running again. Last month, Chase shut down his longstanding personal bank account without explanation. Ocasio-Cortez’s far-left views are embodied in the “Green New Deal” plan she introduced to Congress last month. Among other things, it calls for retrofitting or replacing every building in the country, eliminating airline travel, a fast track for getting rid of fossil fuels, and handing out money to people “unwilling” to work. 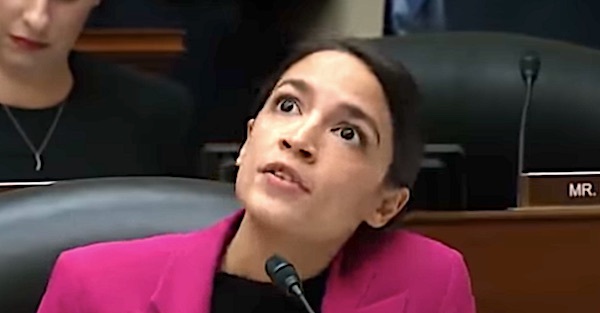 Ocasio-Cortez and her former chief of staff, Saikat Chakrabarti, are the targets of a Federal Elections Commission complaint by the National Legal and Policy Center alleging violations of campaign-finance laws. 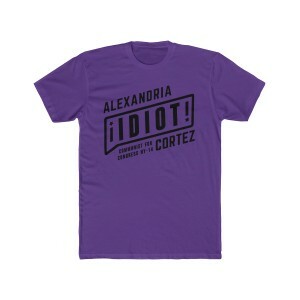 The post Alexandria 'Idiot' Cortez too hot for online sale appeared first on WND.